When I first played Shadowrun as a tabletop game, I didn’t much like it. The fusion of fantasy and cyberpunk seemed like pizza and ice cream to me – good apart, but not together. Then I played the rather wonderful Shadowrun for the SNES and it blew my repressive notions of genre segregation away – sucking me into a wonderful world where magic and monsters only contributed to the dark cyberpunk atmosphere even more. When Shadowrun: Returns and Shadowrun: Dragonfall were released recently, they continued this trend, helping to usher in a renaissance of old-school isometric CRPGs. Now, with Shadowrun Chronicles: Boston Lockdown, Cliffhanger Productions are attempting a far more ambitious marriage: of turn-based RPG and co-operative focused MMO. 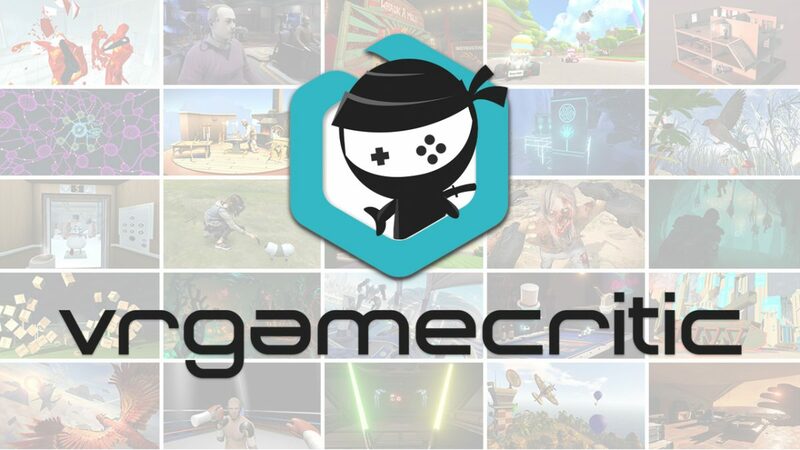 Can these disparate genres be sewn together just as skillfully as other developers have done with cybertech and spellcraft before? 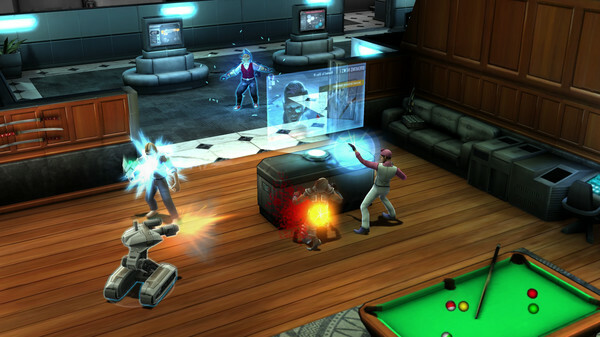 Gameplay in Shadowrun Chronicles is divided between missions and hubs. When in hubs, you can wander around freely, chatting to folks, buying and selling gear, and meeting other players. Once you’ve entered into a mission though, it’s 1997 all over again, and time is segmented into turns. 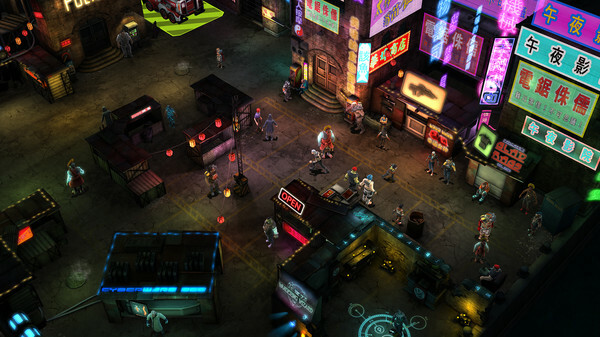 Shadowrun Chronicles takes its cues from X-Com: Enemy Unknown, and combat takes place on an isometric grid where characters take two actions each turn. Terrain objects provide you cover from enemy fire. Taking calculated risks is heavily rewarded though, as a bold flank or charge with a melee character can break a cover shooting standoff, and turn things in your favour. Unlike Enemy Unknown, there’s no “Overwatch” option where you can play defensively and automatically fire on enemies moving on your position, so playing aggressively is encouraged and the pace is kept speedy. You don’t exactly have a great big pool of hit points to soak up damage, and once your armour’s gone, it’s usually gone for the rest of the mission. This means you’re only ever one mistake away from defeat, and combat always feels exciting, and never a repetitive grind. Character building is a little less restrictive than Returns and Dragonfall. Instead of putting experience points into gradually more expensive attribute and ability bars, you instead buy nodes in skill trees. This means it’s much easier to start dabbling in different areas since you’re not limited by linked attributes. Almost any type of character you can envision is now possible, from a shaman with a penchant for hacking, to a hulking melee brusier with a gift for the fine art of lockpicking. There’s cool abilities for every weapon type, such as the pistol skill which lets you “fan the hammer” and gun down multiple enemies in flurry of shots, Clint Eastwood style. However, you still have to make key choices during your character’s development, as picking one branch in a skill-tree usually locks out another. Since your team for each mission is limited to four characters (not counting the occasional helper NPC), there’s a sense of urgency to make sure your runner is part of a well-rounded group. To get the maximum amount of looting done in a mission, you’ll want people for lock-fiddling, safe-hacking, door-bashing and at least one particularly morbid person to harvest organs from the expired unfortunates who litter each level. Every use of a non-combat skill carries a percentile chance of failure so having specialists is important. Shadowrun Chronicles: Boston Lockdown strikes a good balance between having open-ended character creation and making sure your character is still unique. If you’re a gritty, lone-wolf type of runner, it’s possible to eschew other players and play through the game using mercenaries – pre-fabricated characters under your control who fill out a team for a mission. Shadowrun Chronicles: Boston Lockdown adopts a subtle “you don’t have to play this with other people, but it helps!” attitude though, since other players have access to handy tactical items (such as grenades and medkits!). Fortunately, the game lends itself surprisingly well to grabbing another runner off the street and plunging into the neo-noir nightworld of 2076 Boston with them. Because of the turn-based nature of the game, teamwork is so much more edifying. I had time to set up plans with my fellow runners, share some jokes about a missed grenade, or remark on a nicely timed use of an ability. As a decking focused character, I’d judiciously use my “blackout” ability to stun groups of opponents and mark targets, allowing the shooty characters to gun down adversaries with relative ease. In many real-time MMOs, combat feels archaic, and teamwork often seems incidental. In Shadowrun Chronicles: Boston Lockdown, you can fully analyse each situation, and after successful runs, you can really appreciate how you and your ally made a good plan come together. 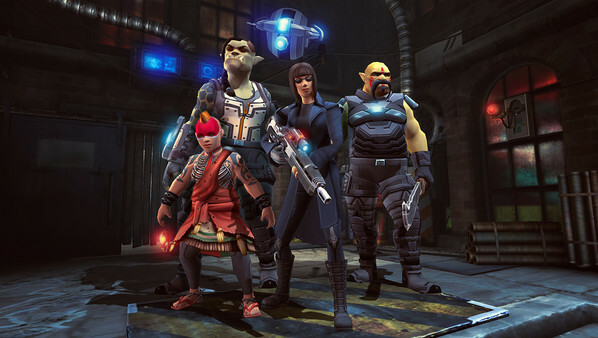 Shadowrun Chronicles: Boston Lockdown’s presentation fits the bill, just as you’d expect. 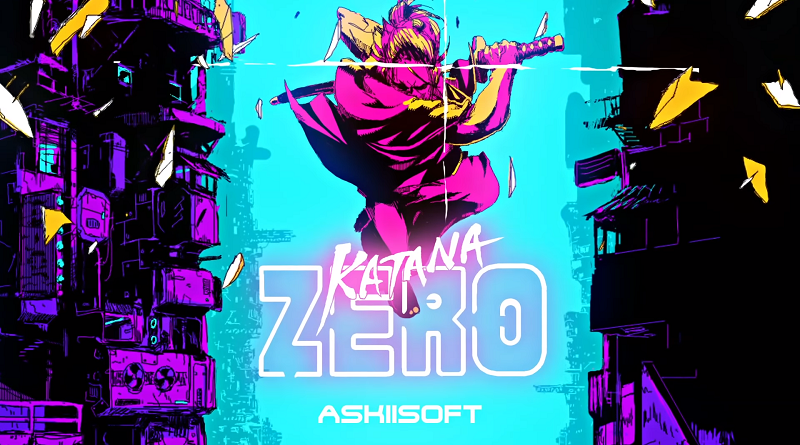 NPCs drawl out dialogue in wonderfully authentic BAW-STON accents, dropping in the odd cyberpunk idiosyncrasy or Japanese word to give proceedings the requisite William Gibson style cool. From the game’s opening moments where you wake up on a slab, being poked at by masked doctors (in a neat little nod the the SNES Shadowrun), you’re thrust into a gradually unravelling world of secrets and conspiracy. Characters are more than just clickable figures attached to tantalizing quest-giving exclamation marks. Early on, there’s a group of die-hard Red Sox fans whose lives are saved by not attending a fateful game where a dragon attacks the stadium (but instead of feeling grateful, they’re furious at how most of the players being dead will effect the team’s chances in the playoffs). The game’s story has more meaty humour, and onion-like layers of intrigue to sink your teeth into than a Boston hot dawg. However, those fans of prior Shadowrun titles hoping to have in-depth, branching conversations and profound choices may be in for some disappointment. The plot has you along for the ride rather than in the driver’s seat. 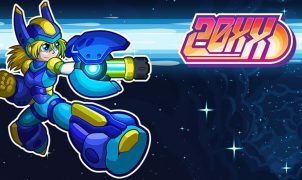 Though the dialogue takes its cues from the eighties, the visuals regrettably take their cues from the early noughties. While Returns and Dragonfall placed character models over gorgeously hand drawn backgrounds, Chronicles has opted to take the fully rendered approach, but without the engine to really do the setting justice. Everything looks distinctly chunky and low-res, particularly when the camera zooms in for conversations. Characters nod along to the dialogue, their lips unmoving, their hands like baseball gloves without articulated fingers. You’ll often glitch into other players when chatting. Shadowrun: Dragonfall’s method of describing more subtle interactions with good old fashioned words might’ve seemed quaint in this day and age, but they did the job a fair bit better than Boston Lockdown’s solution. If you want a good taster of what this game is like, just imagine this concluding paragraph in the voice of a cyberpunk JFK, in-between long, soulful drags of a cigarette.